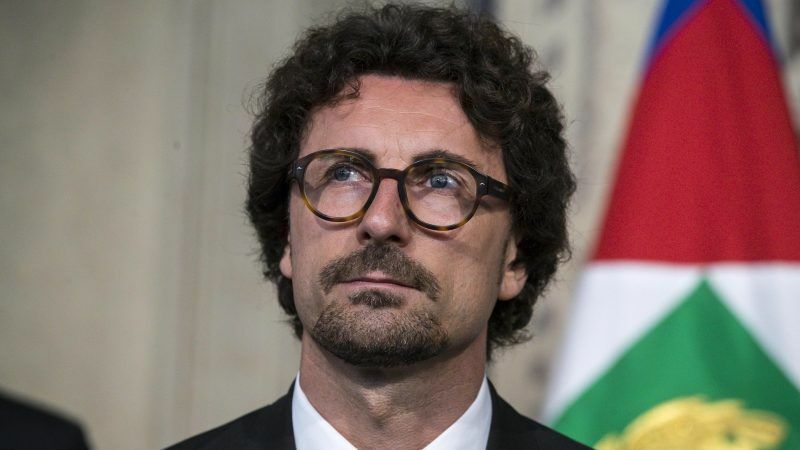 Italy’s new infrastructure minister denounced on Tuesday (24 July) an ambitious, transalpine rail link as an enormous waste of public money and said he wanted to re-negotiate the project with neighbouring France. “Nobody should dare to sign off on advancing this line. We would consider that a hostile act,” Infrastructure Minister Danilo Toninelli wrote on Facebook in an apparent warning to authorities on both sides of the Alps. The 270-km high-speed line is due to link the French city of Lyon with Italy’s Turin. Originally slated to cost €9.6 billion, Toninelli said latest estimates gave it a €26.1 billion price tag. “When I look at the Turin-Lyon documents, I can only feel anger and disgust at how Italians’ money has been wasted,” wrote Toninelli, who is a member of the anti-establishment 5-Star Movement, which has long called for the project to be binned. There was no immediate response from France. After years of planning and controversy, France and Italy signed a deal in 2016 releasing €8.4 billion in funding for the initial construction of the so-called TAV. That has begun, though not work on boring the main tunnel. When French President Emmanuel Macron took office last year, he briefly called for the project to be put on ice before swiftly reaffirming France’s commitment to the plan. The two countries said last September that preliminary work on the contested line was “all but completed” and that the final construction phase, notably the digging of a 57-km tunnel under the Alps, was being prepared. Toninelli said that under the terms of the original deal, the European Union had agreed to pay 40% of the final bill, Italy 35% and France 25%. He questioned why Paris was paying less than Rome, even though the bulk of the tunnelling was happening on the French side of the border. He also said the link made little commercial sense given that trade between France and Italy had been in “constant decline” over the past 20 years. Toninelli said he wanted “to review completely” the deal with France, adding that economic, social and environmental concerns would determine the fate of the project. Residents of Italy’s picturesque alpine Susa valley have repeatedly protested against TAV, saying it would cut through the heart of their community and destroy stunning countryside. While 5-Star has long backed their cause, its government coalition partner, the League, has defended the project, saying it will help develop the Italian economy.